A heavy duty, multipurpose, long life automotive gear oil meeting the requirements of both API GL-5 and MT-1. 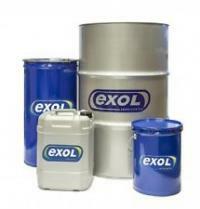 It is manufactured from solvent refined mineral base stocks, combined with a powerful total driveline performance additive package and a highly shear stable viscosity modifier and is recommended for highly stressed manual gearboxes, heavily loaded axle drives and synchronised or non-synchronised transmissions. Approved by Scania.